The next wave in patient warming! 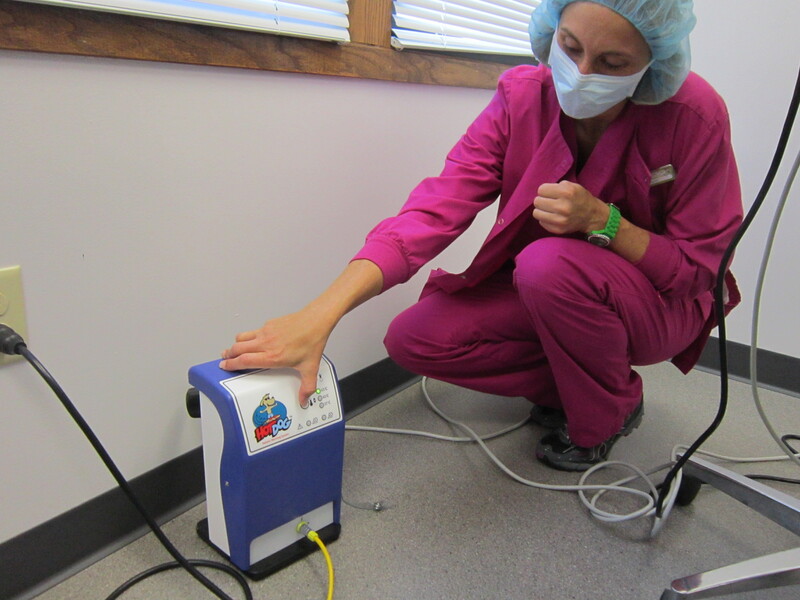 Nearly all surgical patients become hypothermic due to anesthesia, the cold environment and IV fluids. Anesthesia, however, is the main culprit. Anesthetized patients lose the ability to control their own temperature, which typically results in a drop in core temperature in the first 30 minutes after induction. Our clinic utilizes the Hot Dog Patient Warming System; the first person to tell us five benefits of this patient warming system wins a free bag of Science Diet treats! What’s wrong with this picture?! 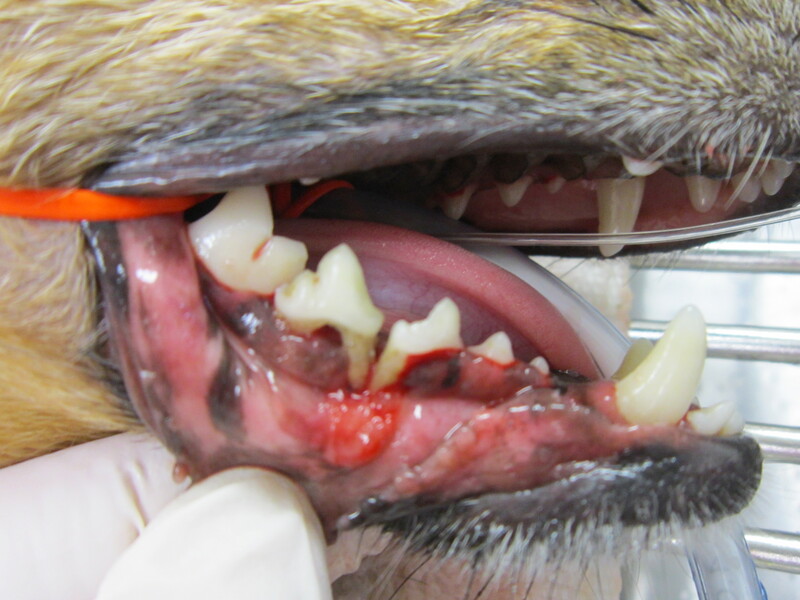 The first person that answers correctly wins a free box of Greenie dental treats! Did you know that obesity affects more than 50 percent of America’s pet population? If your pet is overweight, it can develop all kinds of health problems such as painful arthritis, heart disease, breathing difficulty and even diabetes. For your pet, the excess weight and the resulting health problems can mean less play time and depression. We wanted to share Meow’s story in efforts to help combat obesity problems in pets. The 39 pound cat featured on the Today show in April, died last month, but continues to educate pet owners worldwide! Click here to read his story. It is warm out today; please remember to keep your pet cool and comfortable! Here are a few tips to help you keep your pet protected from the warm weather! The Importance of Feline Health Care! Did you know that feline pets outnumber canine pets in this country by more than 8 million! Yet, only 60% of cats in America households have seen a veterinarian in the past year. Cat’s medical wellness needs are just as important as their canine counterparts especially when preventing chronic diseases such as: obesity, diabetes, kidney insufficiency, GI disorders and behavioral problems such as inappropriate urination or grooming. Here is a short video with five tips on how to make the cat carrier a friend and make your annual trip to the veterinarian less stressful! Meet Ugga! 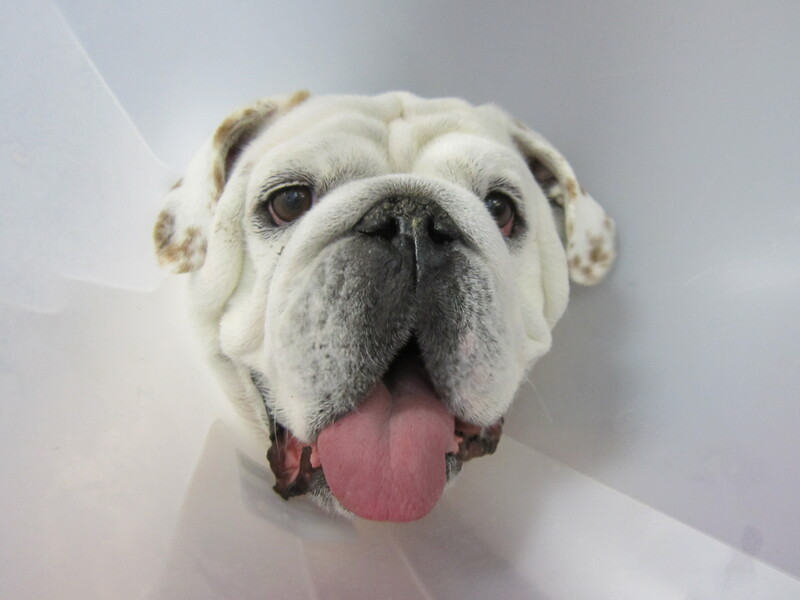 Today Dr. Reimer repaired his torn cruciate (ACL) as well as his luxating patella. We are fortunate to have Dr. Reimer perform orthopedic surgeries at our clinic as he is board certified in small animal surgery! His experience is phenomenal in the clinical setting and he previously was an assistant professor at ISU College of Veterinary Medicine. If you have any orthopedic concerns about your pet please feel free to contact us today as consultations with Dr. Reimer are FREE! We are proud to provide the best orthopedic and surgical care by bringing Dr. Reimer to you!